Reading out loud is one of the most wonderful ways we can help our children learn language(s). It helps to build vocabulary (in many languages) and helps children fall in love with literature and the written word. The more we can make storytime a great experience for children, the more they will look forward to reading on their own down the road. 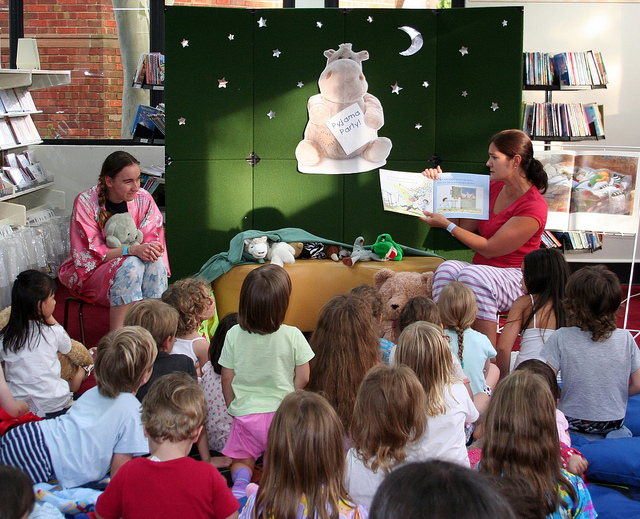 It doesn’t take a lot to make storytime a child’s favorite time of day. However, reminding ourselves of some key elements can help make it even better. Bilingual Books: Read Them Out Loud! Long before our children have learned to read they will have been exposed to the magic of books. Stories of pixies and trolls, adventure and suspense will have filled their minds with fascination and beauty. We can probably still remember moments snuggled on the sofa as our parents read out loud to us. Magical story lines blossomed before our eyes. When we were young, so much depended on the way an adult read out loud to us: the eerie intonation of a goblin, the gentle melody of a fairy, the loud rumble of a dragon’s roar. Even though we savored every word in the story, how we were read to made all of the difference. The more our parents or teachers took on the role of the characters, the more captivated we became. The more involved they were in the story, the more it came to life for us.